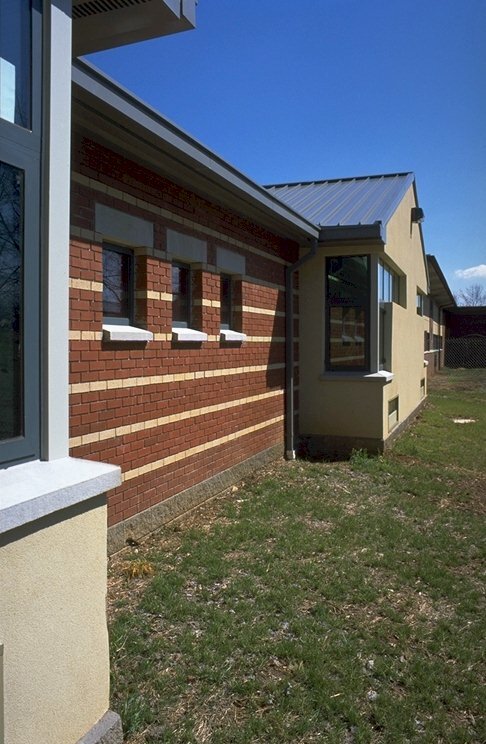 Detail of classroom corner windows. 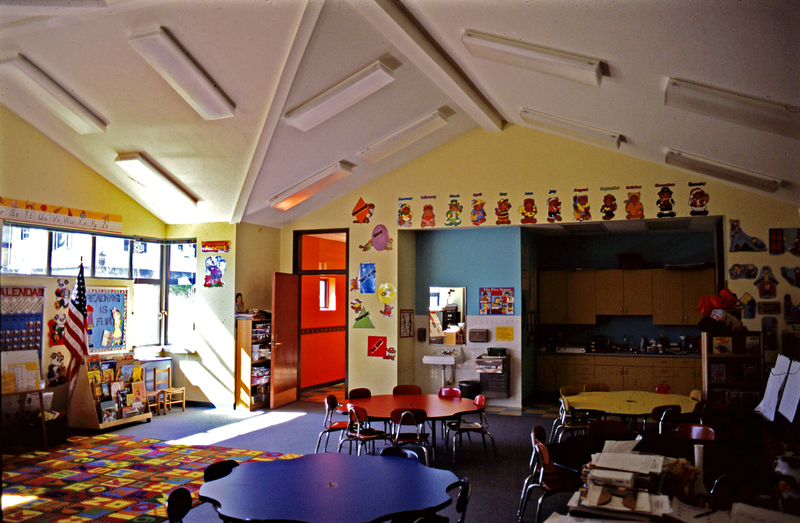 Entry hall into kindergarten classroom wing. 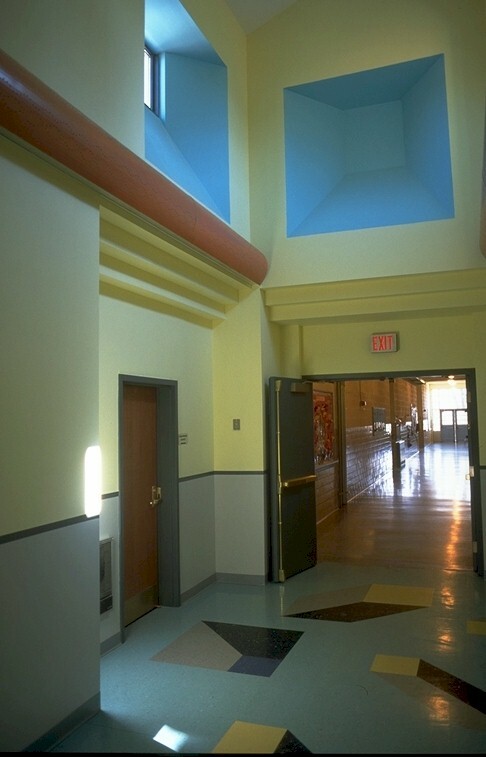 New covered entry in renovated school. 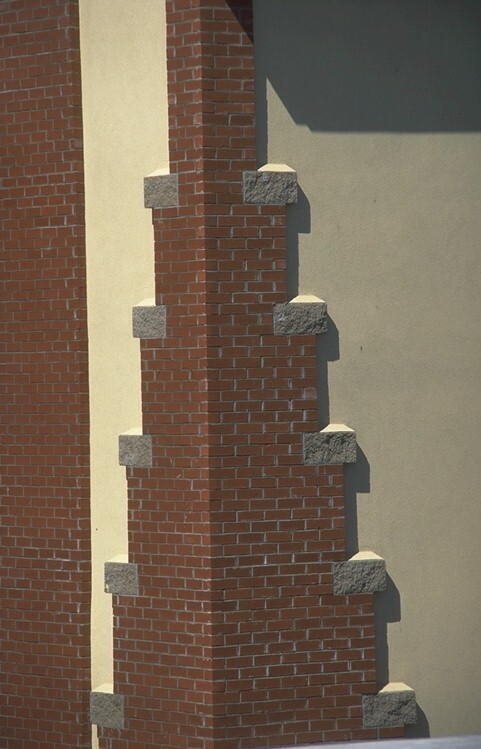 Corner detail of elevator tower. 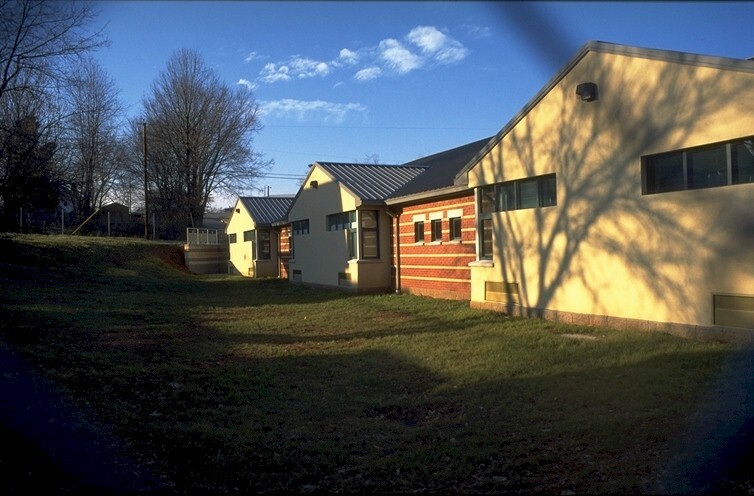 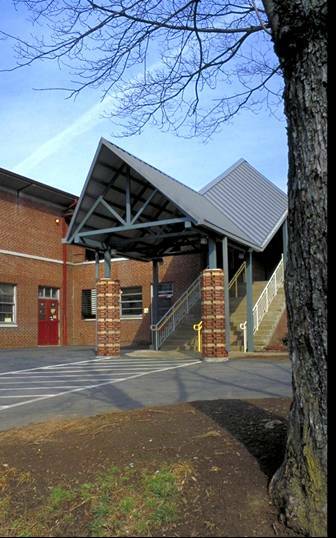 Renovation and additions to a Performing Arts Magnet Elementary School.